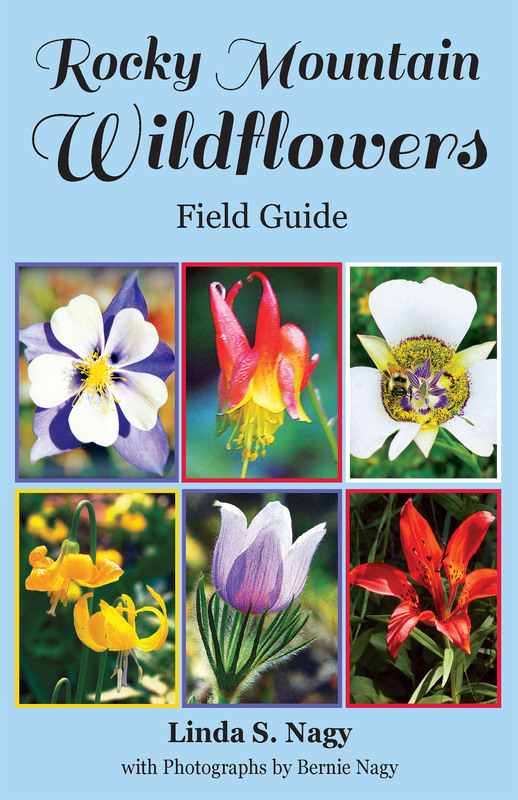 Author Linda Nagy has just released a new 2015 expanded and revised eBook edition of her award-winning Rocky Mountain Wildflowers Field Guide with the expert help of Veronica Yager of YellowStudios. The book is available in all electronic formats such as Kindle, nook, iBooks, Kobo, etc., and is for all nature enthusiasts who want to learn more about wildflowers throughout Colorado’s Rocky Mountain Region from north to south. Information includes common, scientific and family names, a brief description, and each wildflower’s habitat, life zone, and general flowering time. The 255 plus wildflowers are shown with clear detailed images and are grouped according to color so one can quickly find and identify an unfamiliar flower. The eBook indexes of common and scientific names link to individual pages with descriptions. It is great for loading on to a phone to take along on hikes. The guide is written by Linda Nagy with photographs by her husband, award-winning nature photographer and author, Bernie Nagy. Check out the book at Amazon.com!